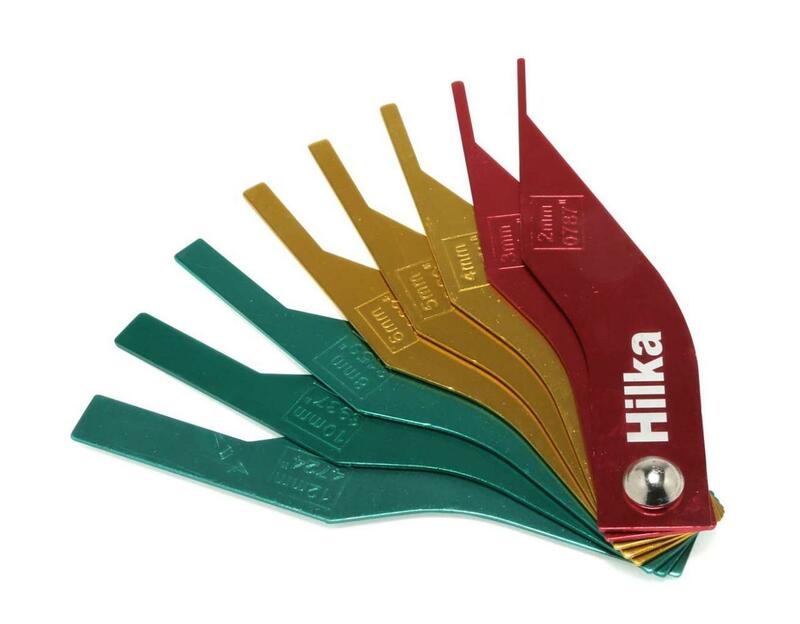 Brake pad thickness gauge set used to inspect brake pad lining wear, with three colour coding system for quick & accurate testing. Fits between the disc and brake pad backing plate with dual markings in metric and imperial. 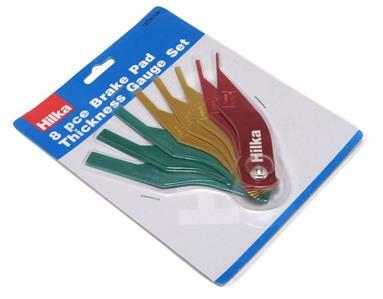 Contains 2 x red: 2 & 3mm, 3 x yellow: 4, 5 and 6mm, 3 x green: 8, 10 and 12mm.